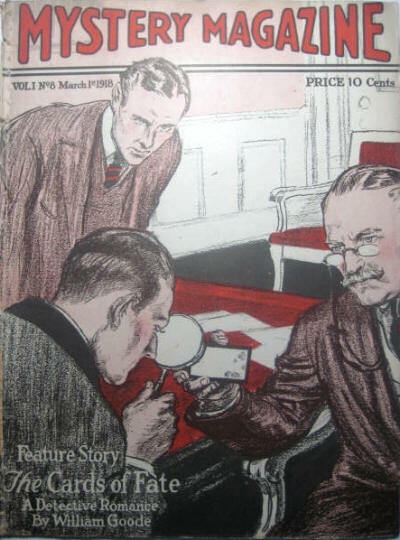 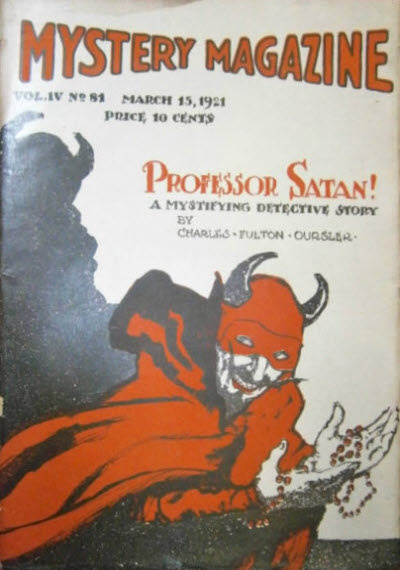 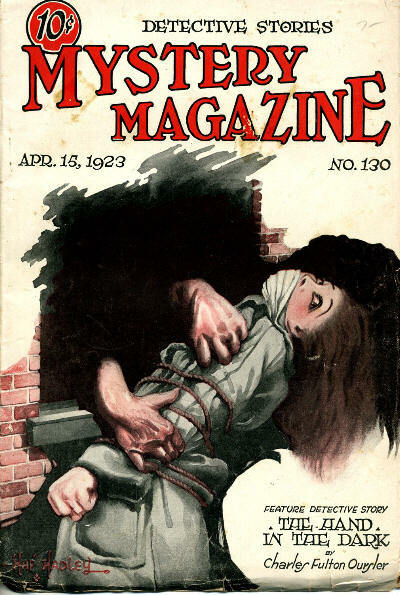 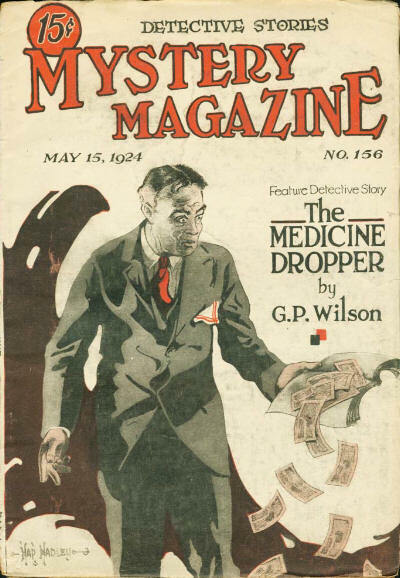 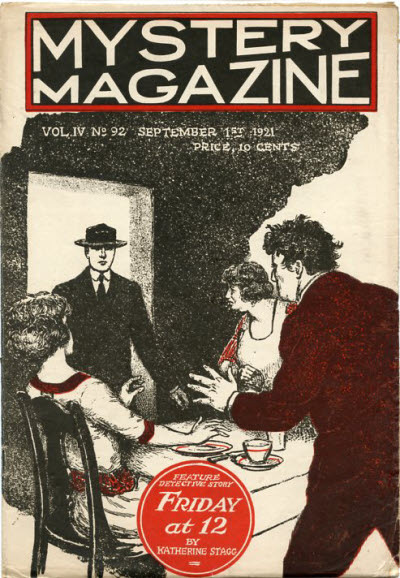 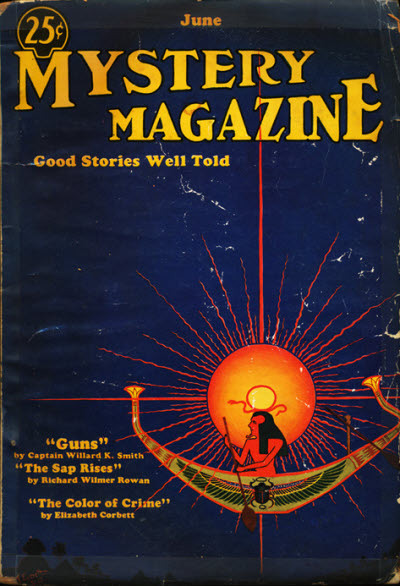 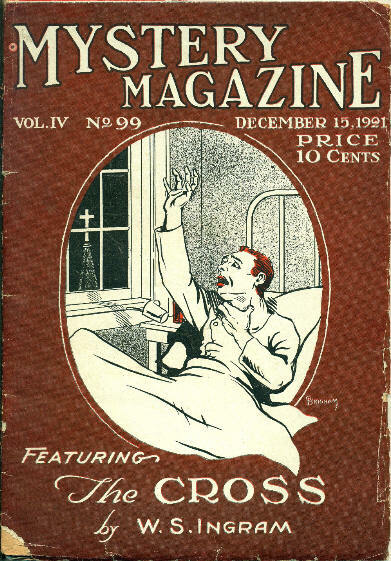 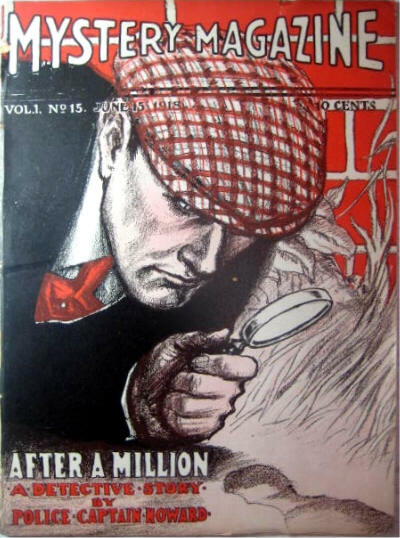 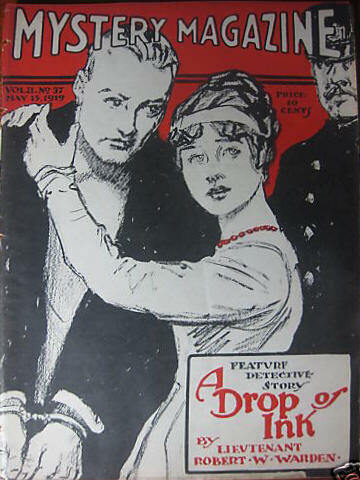 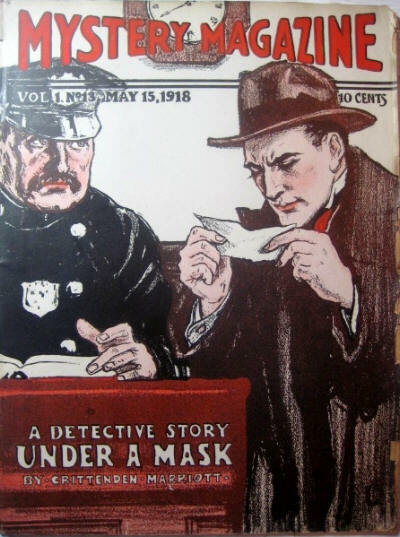 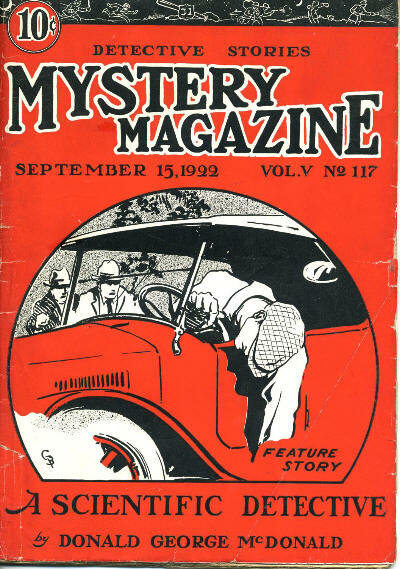 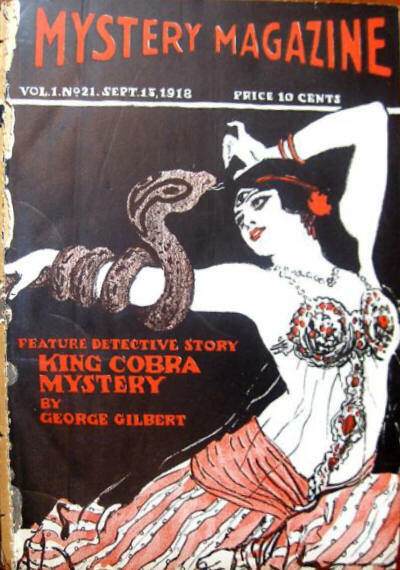 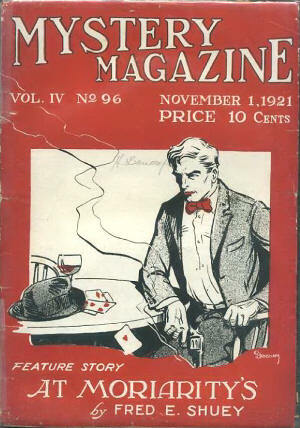 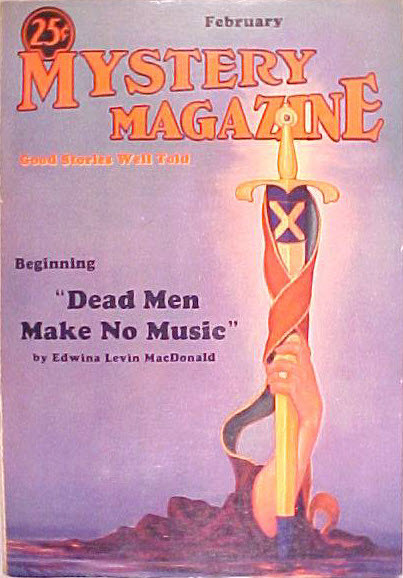 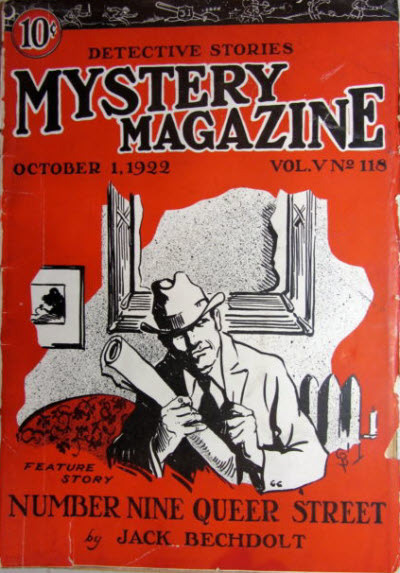 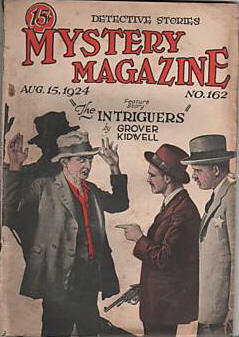 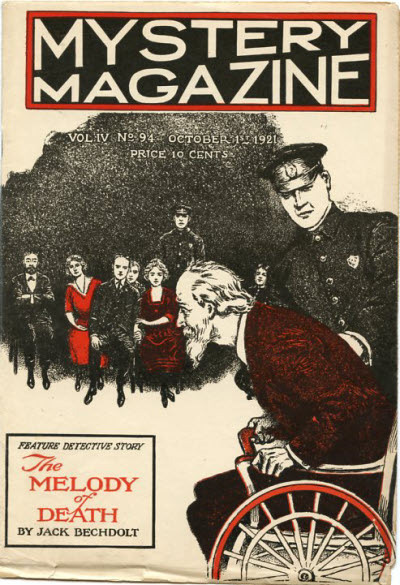 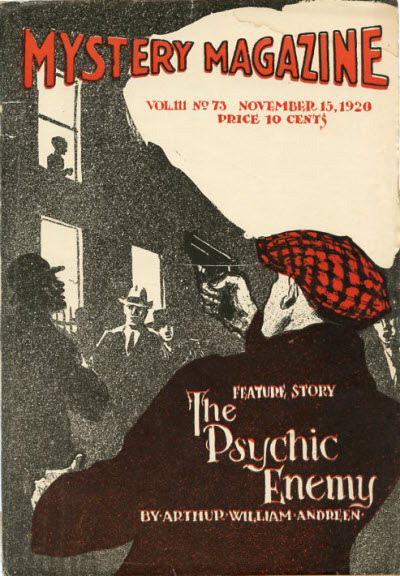 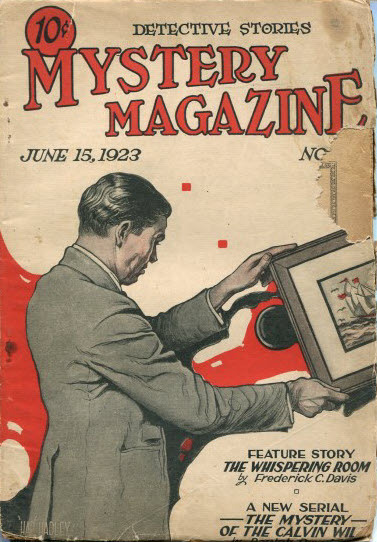 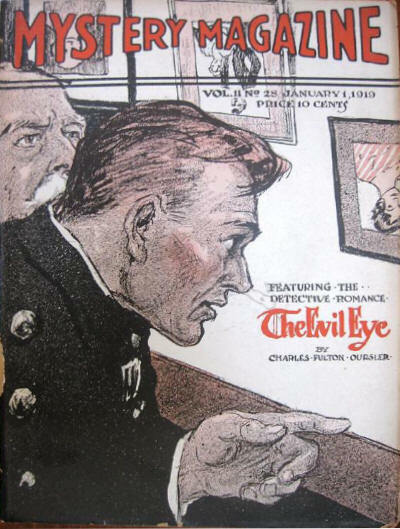 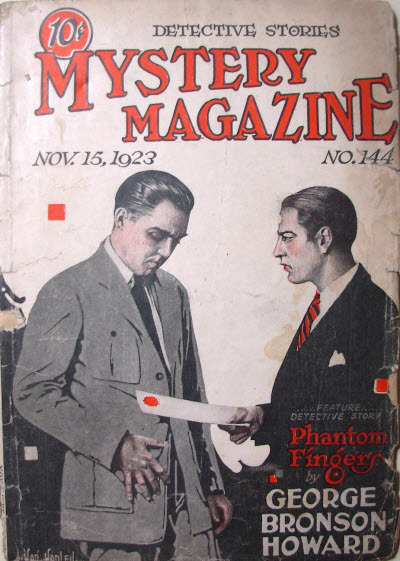 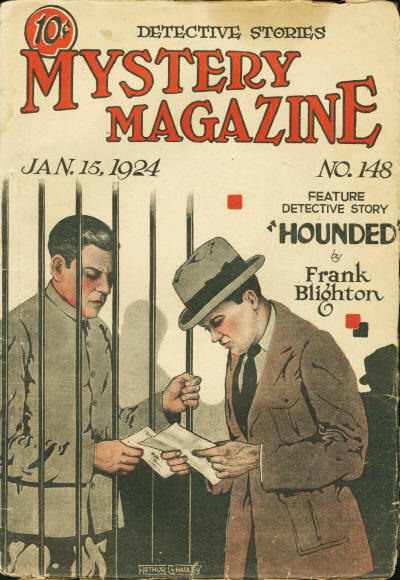 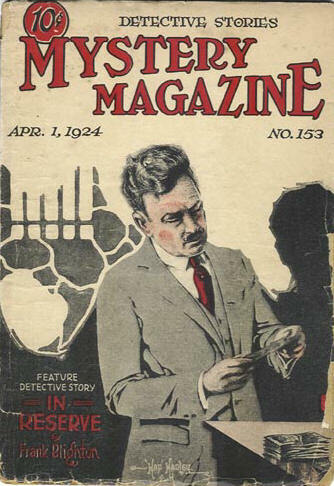 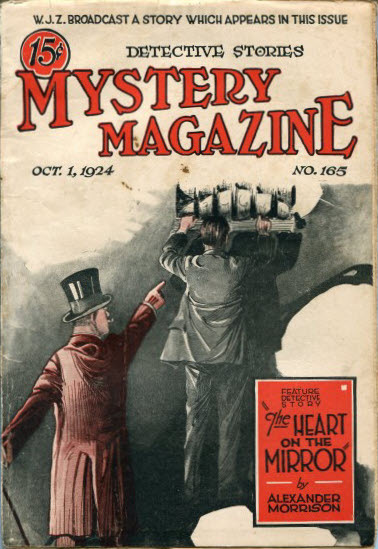 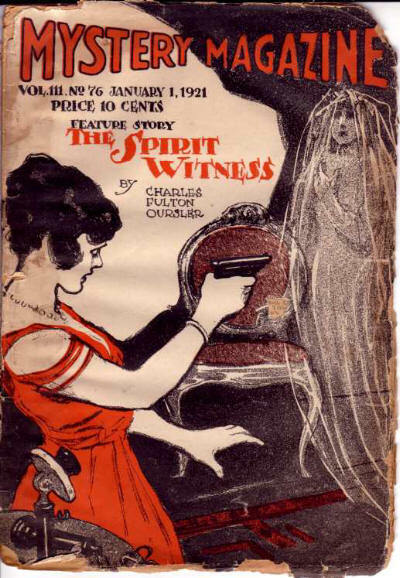 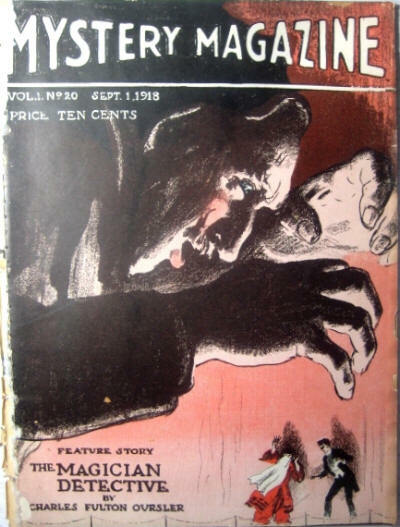 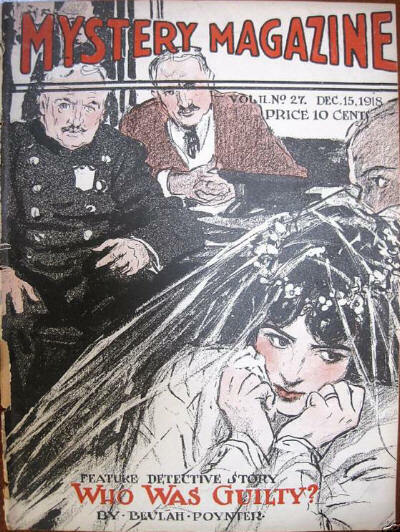 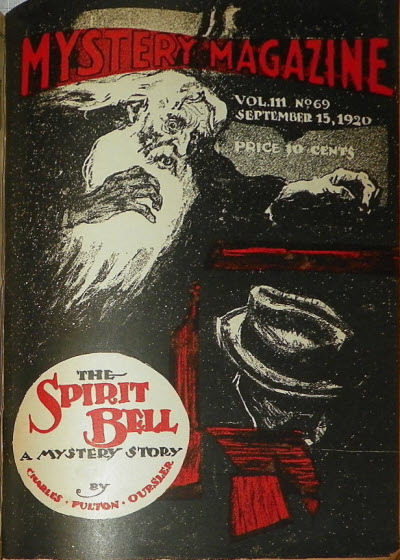 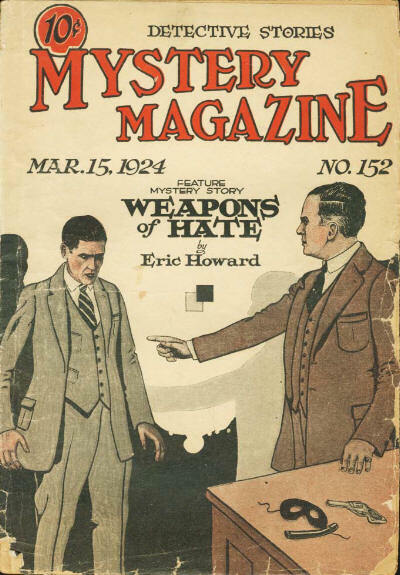 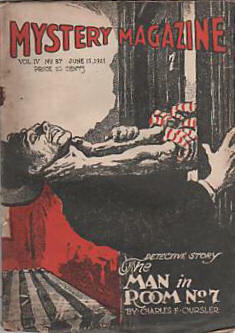 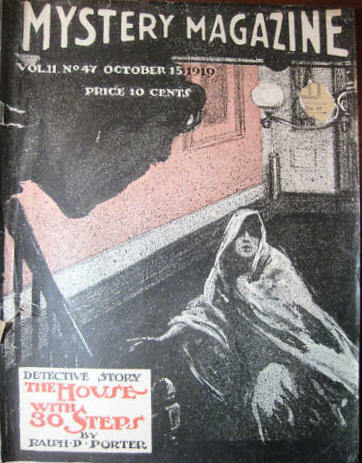 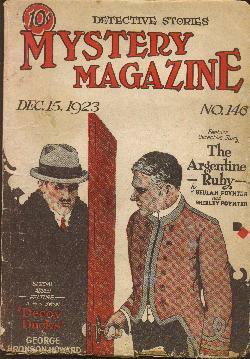 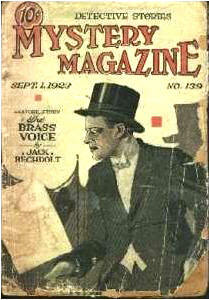 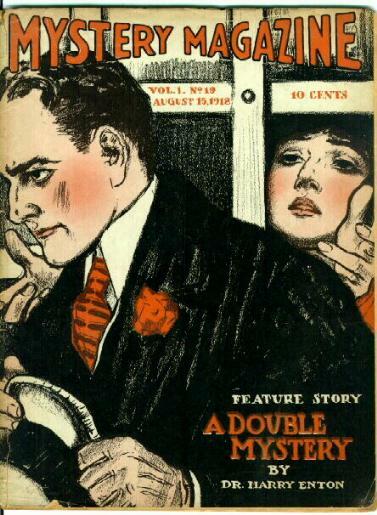 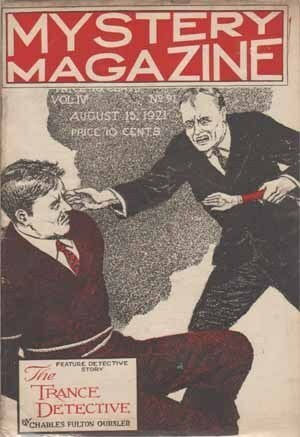 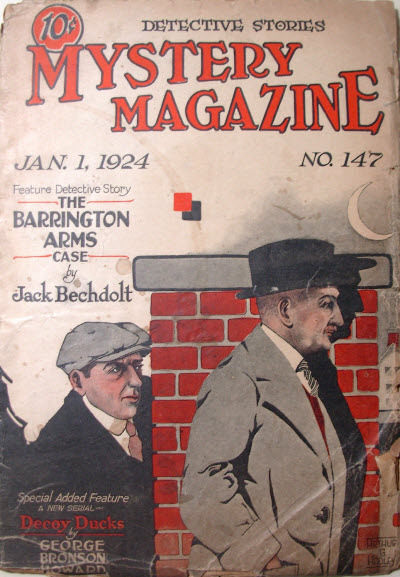 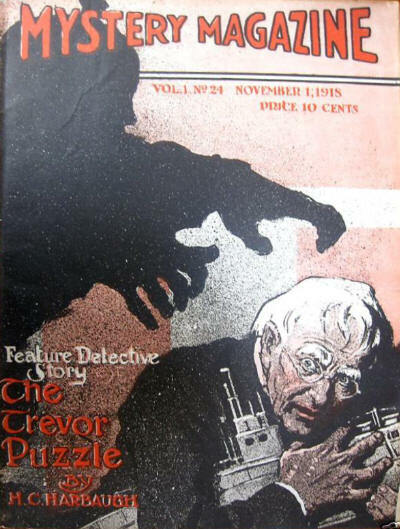 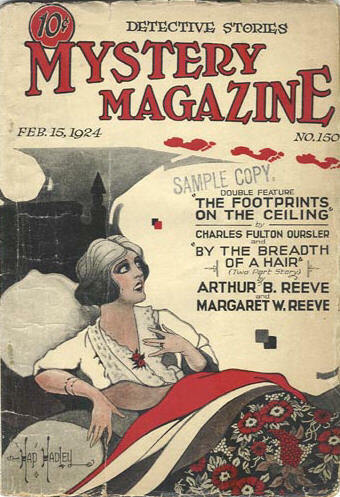 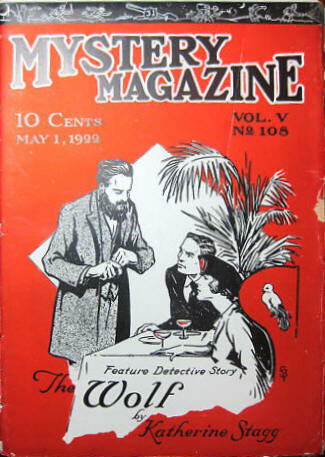 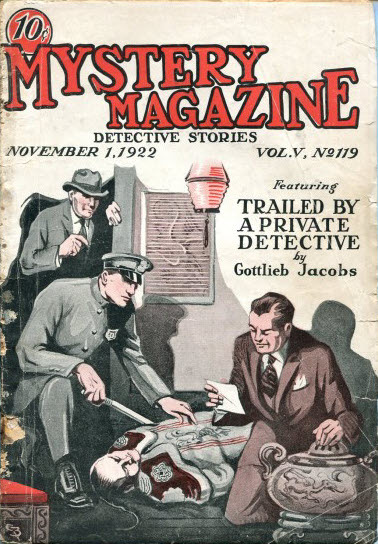 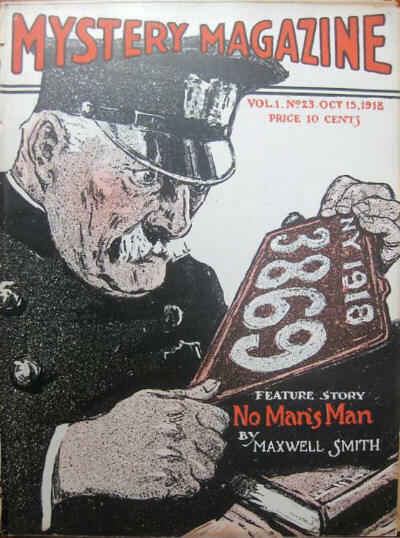 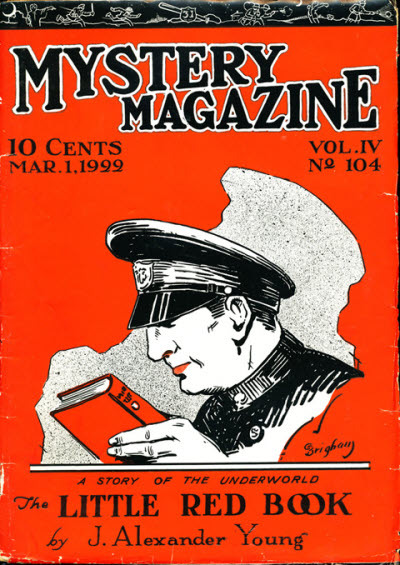 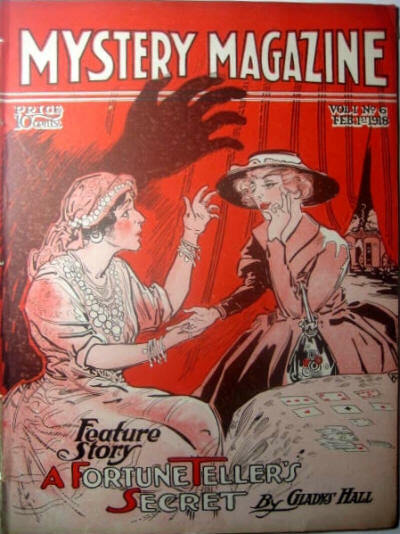 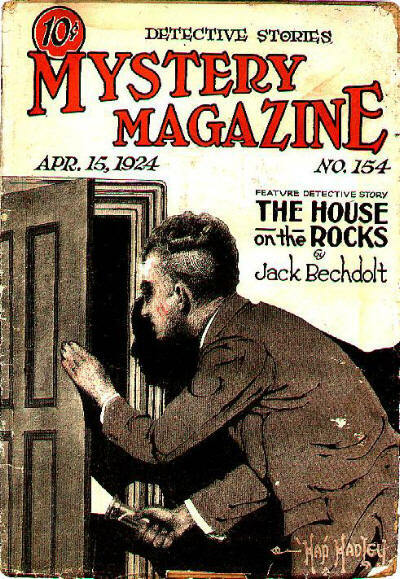 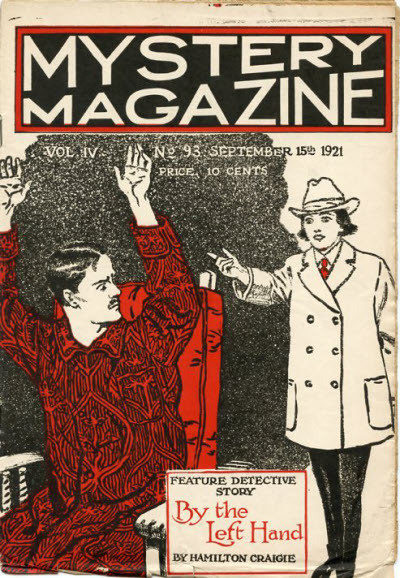 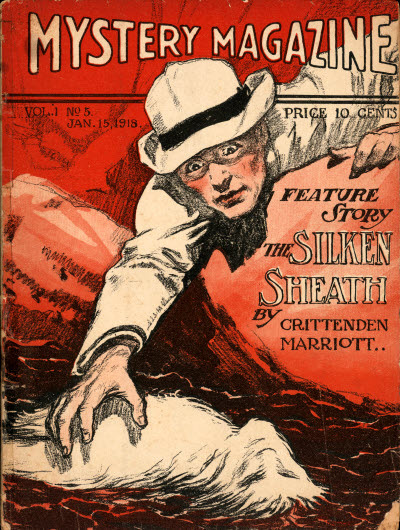 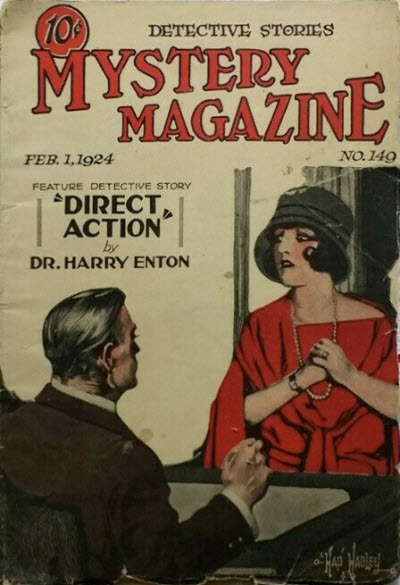 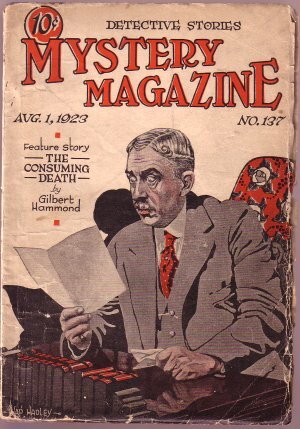 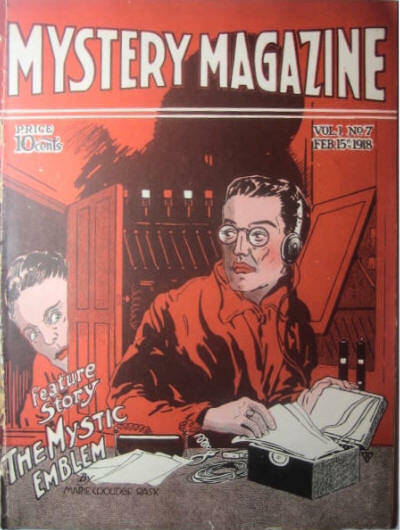 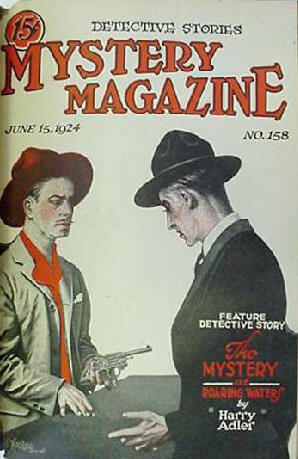 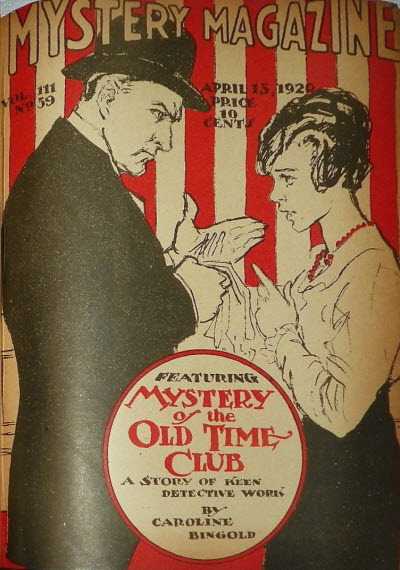 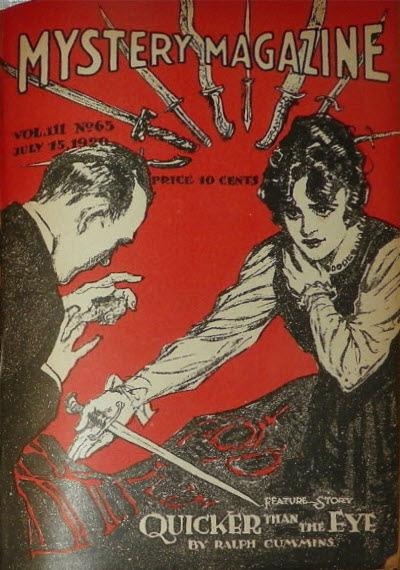 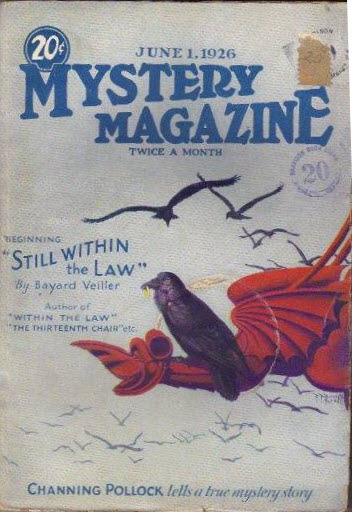 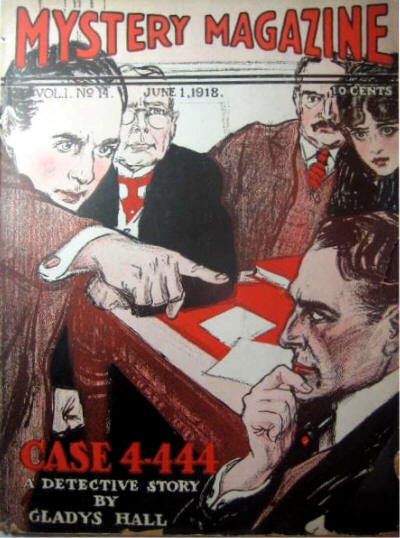 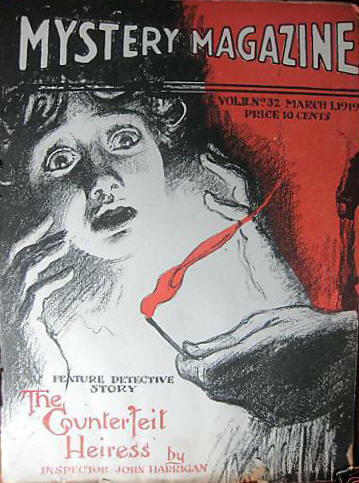 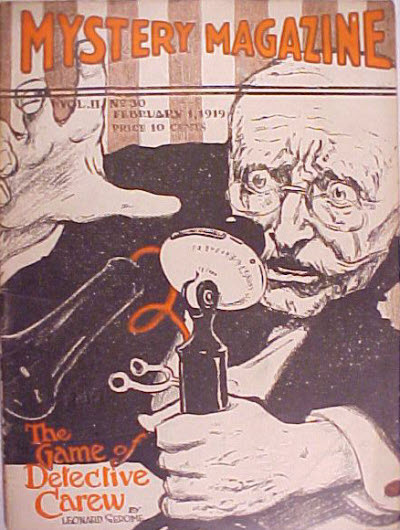 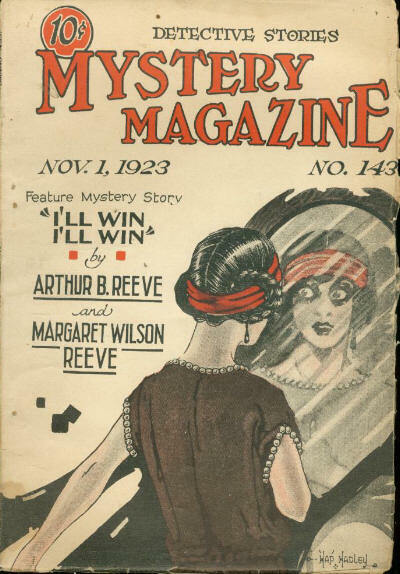 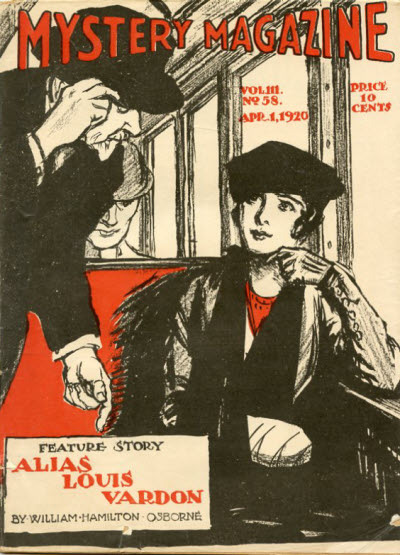 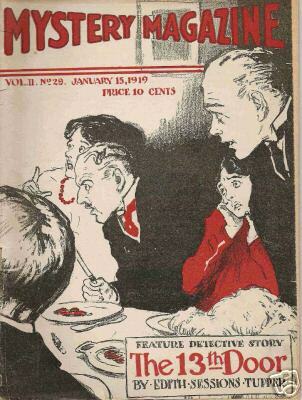 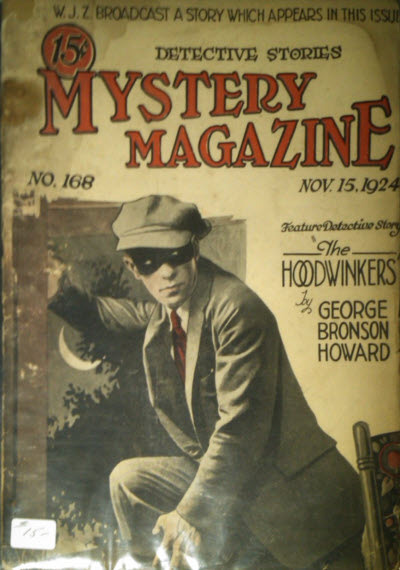 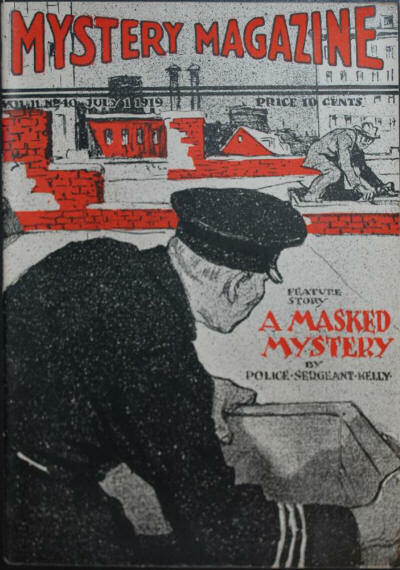 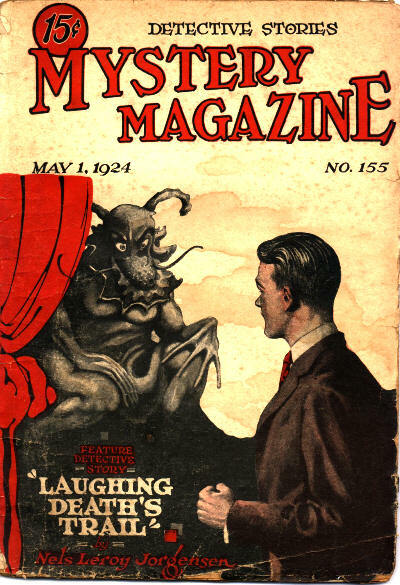 Mystery Magazine was one of the earliest crime pulps, first appearing in November 1917, a mere two years after Street & Smith's Detective Story Magazine. 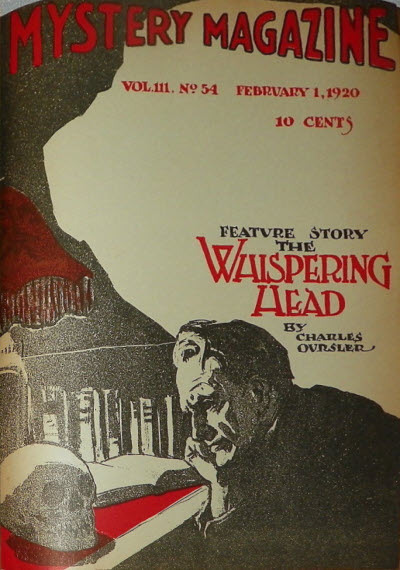 It ran for seven years on a twice-monthly schedule, featuring undistinguished stories by undistinguished authors. 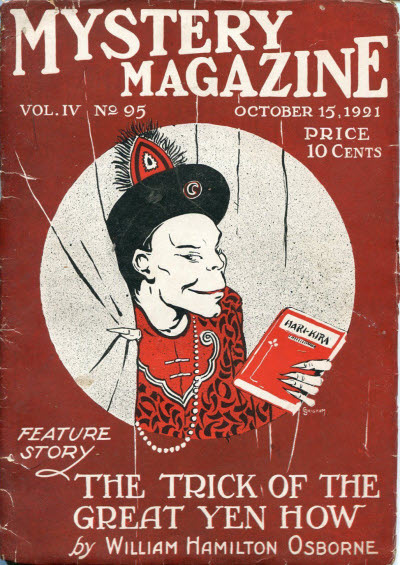 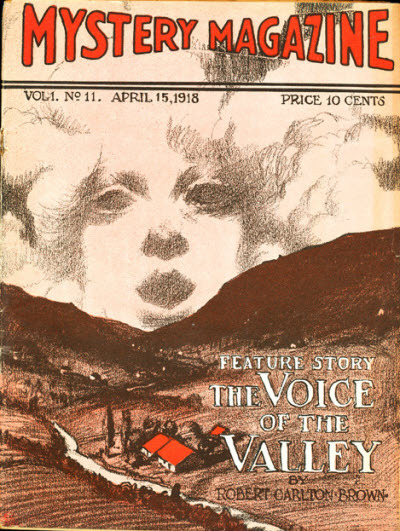 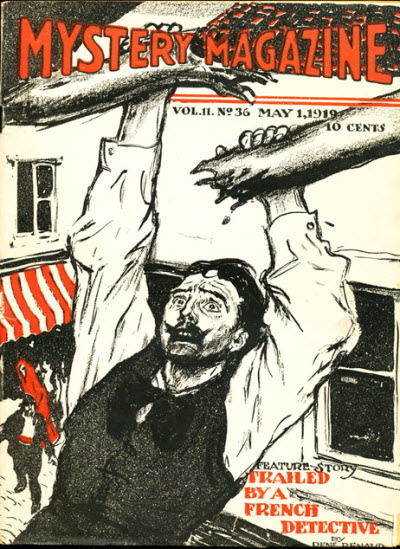 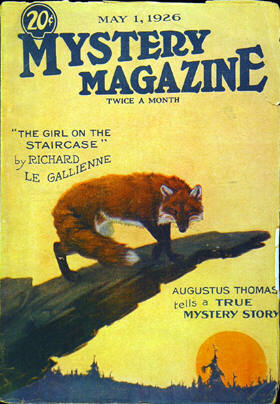 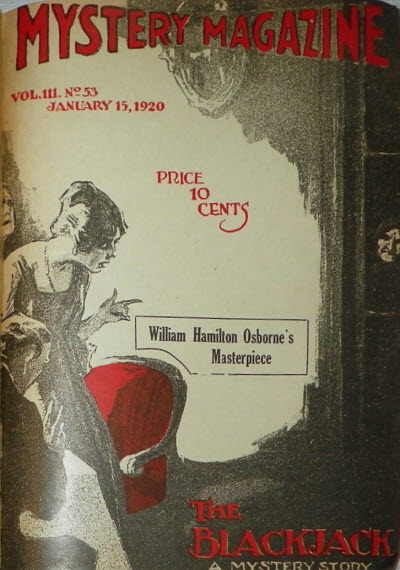 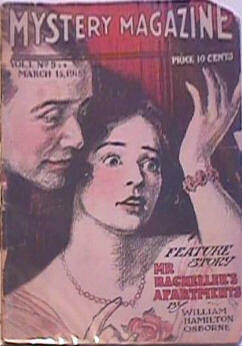 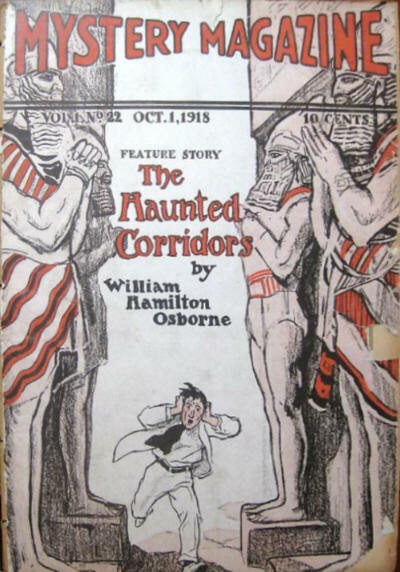 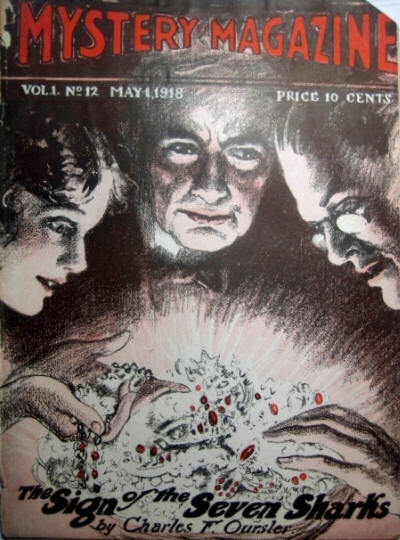 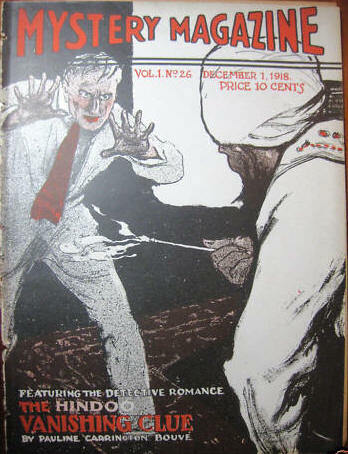 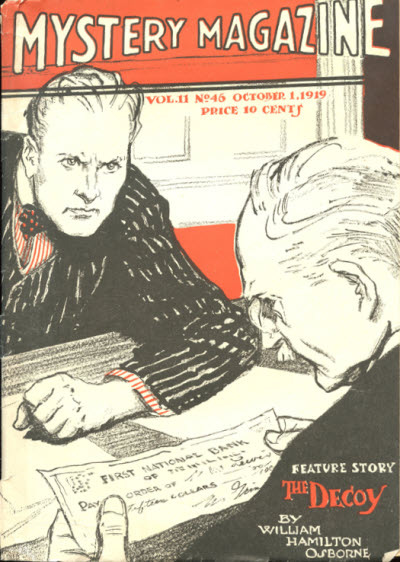 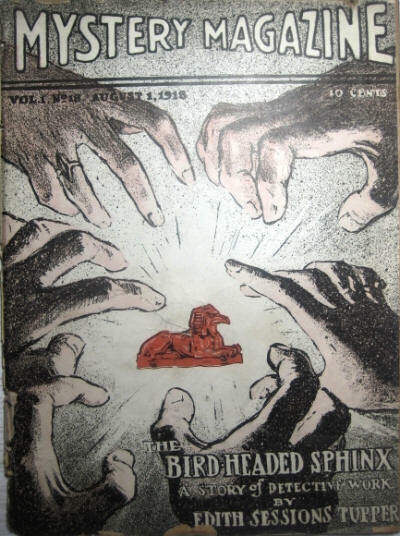 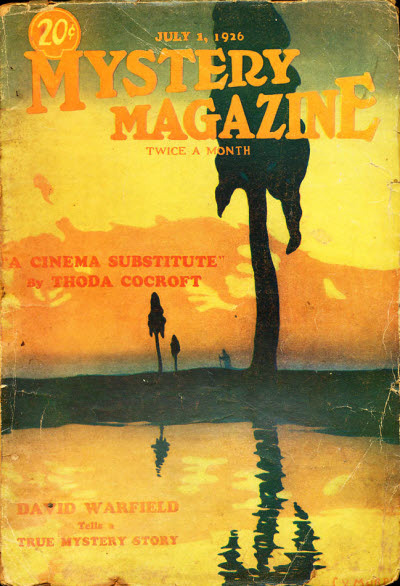 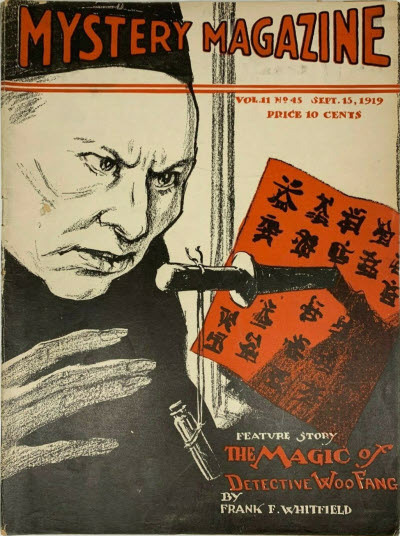 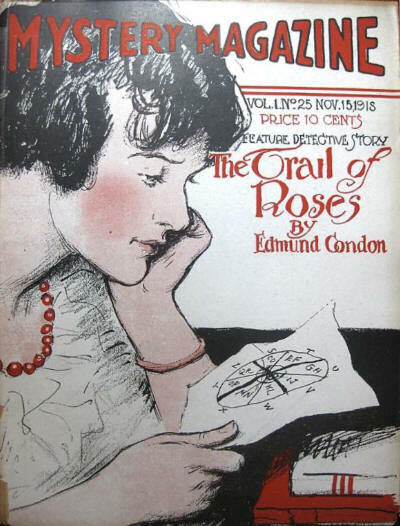 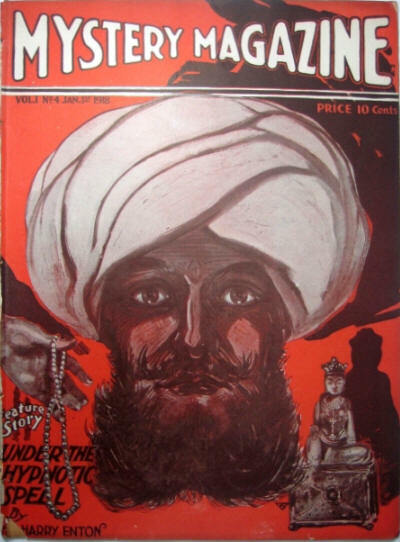 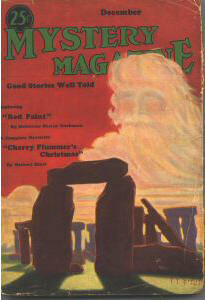 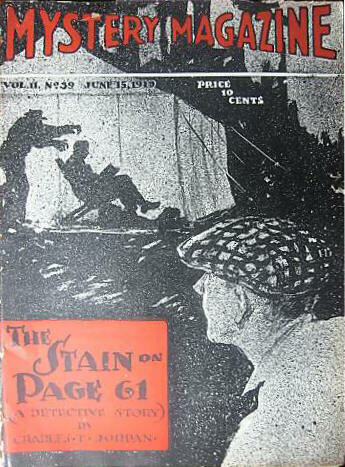 It then vanished for a year, returning in 1926 for a further 12 twice-monthly issues. 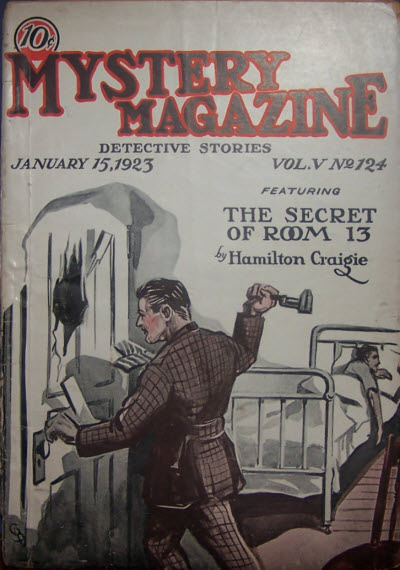 There was then a further hiatus before it restarted, under a new publisher, on a monthly schedule, publishing a much wider range of detective and mystery-suspense stories (including some science fiction). 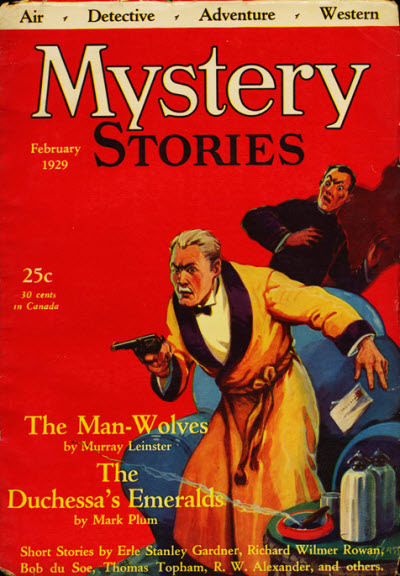 After only ten issues, it changed its name to Mystery Stories, but only lasted a further two years before folding. 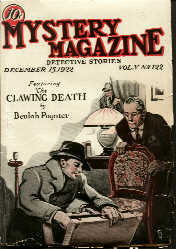 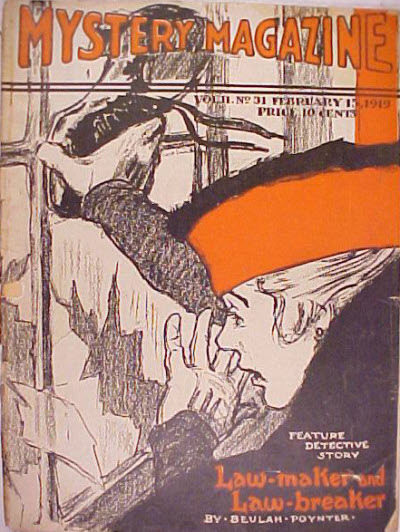 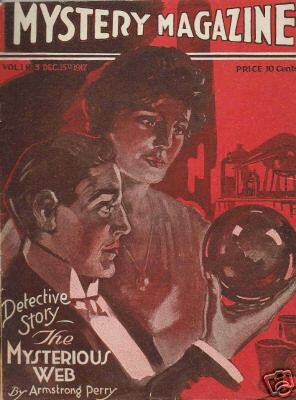 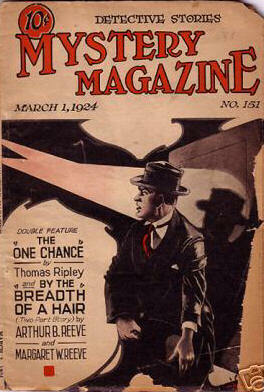 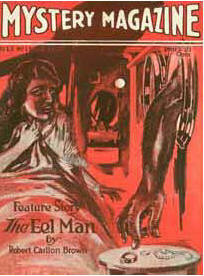 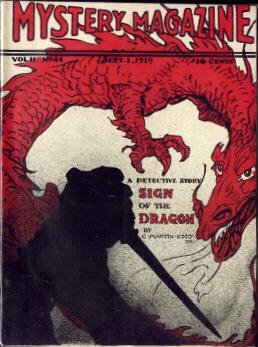 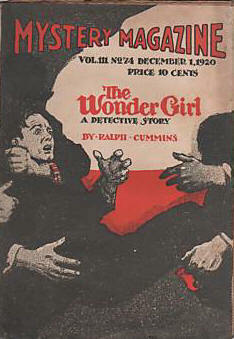 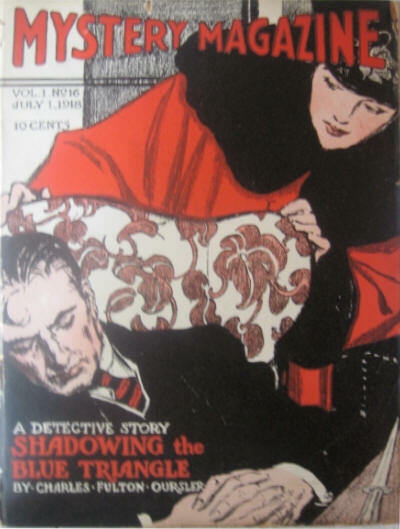 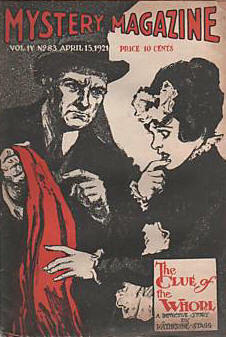 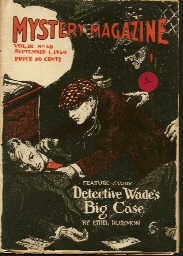 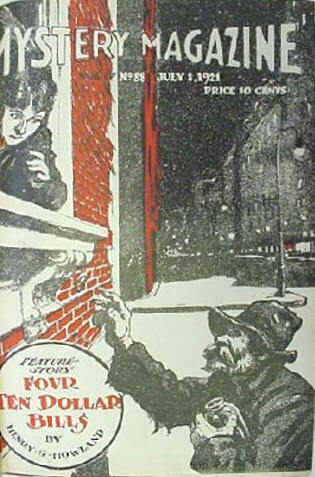 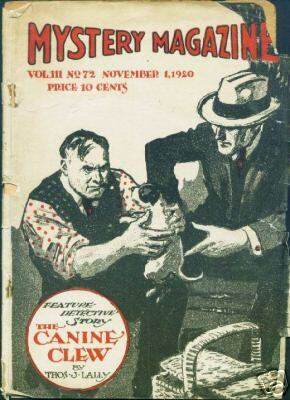 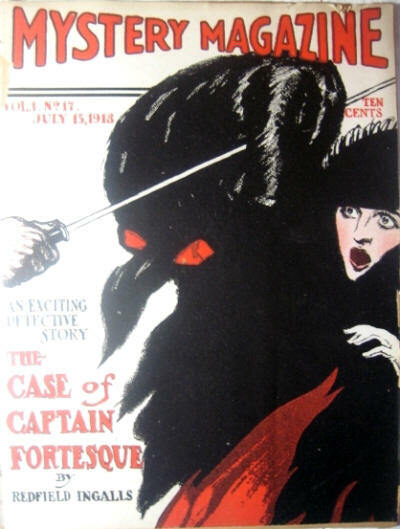 The title was then acquired by Street & Smith and merged into Best Detective Magazine. 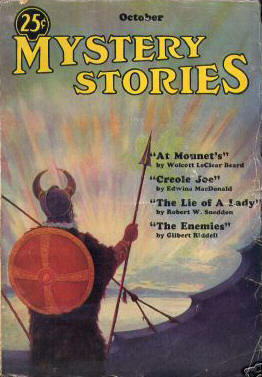 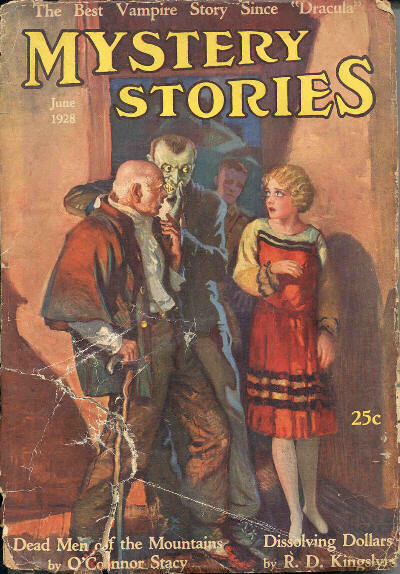 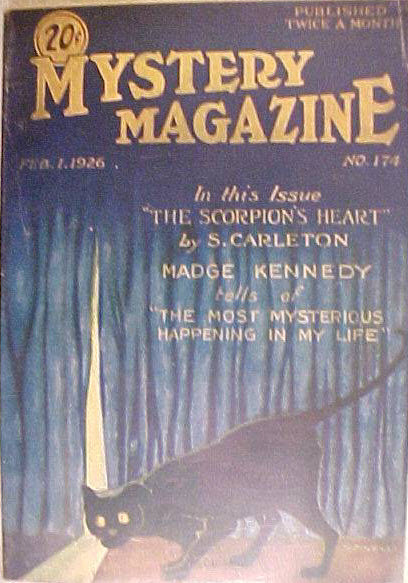 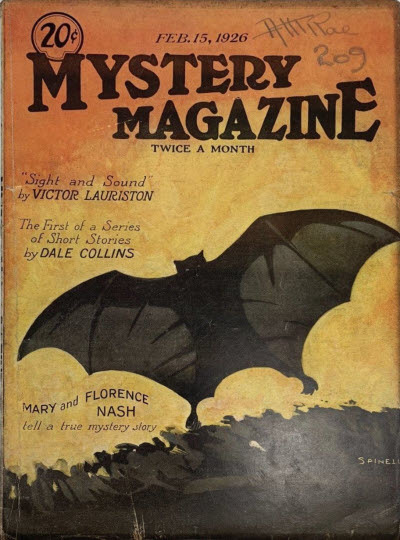 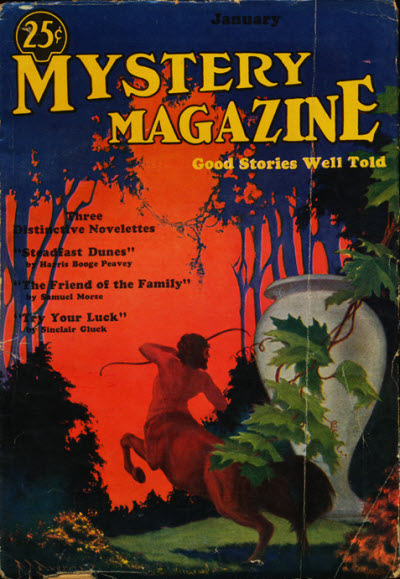 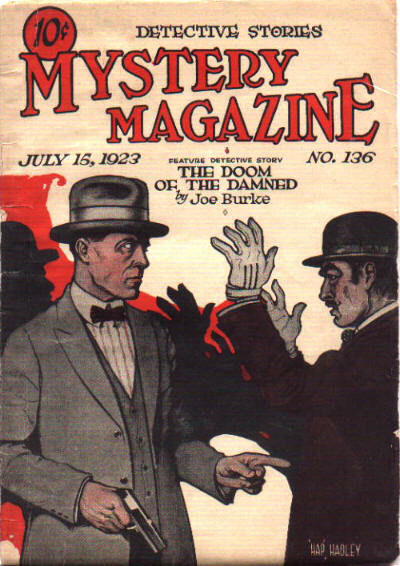 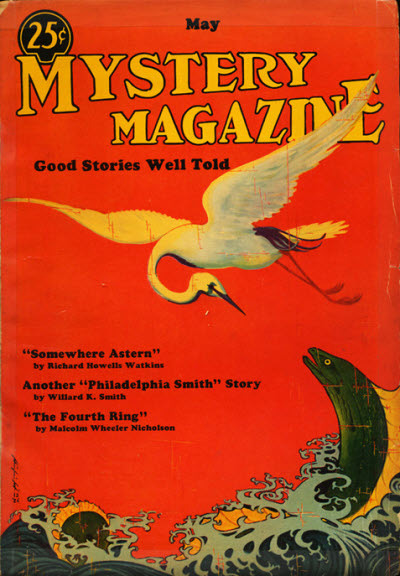 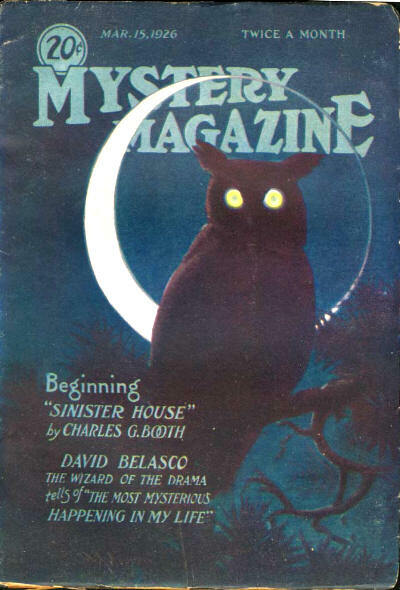 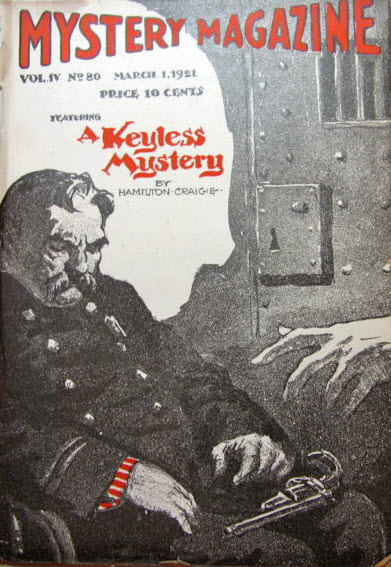 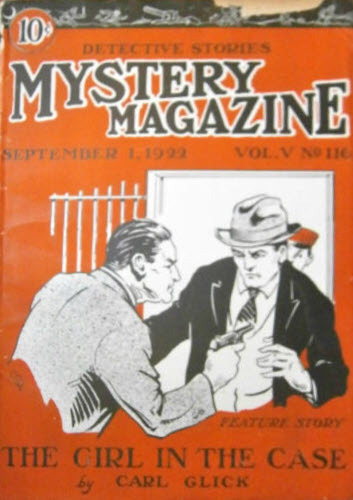 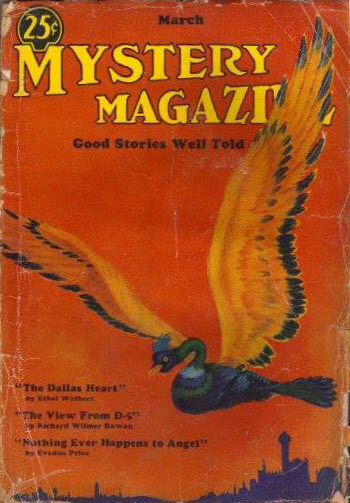 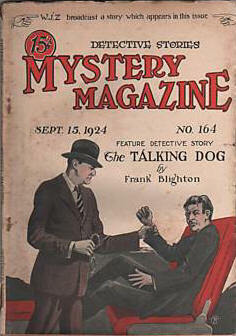 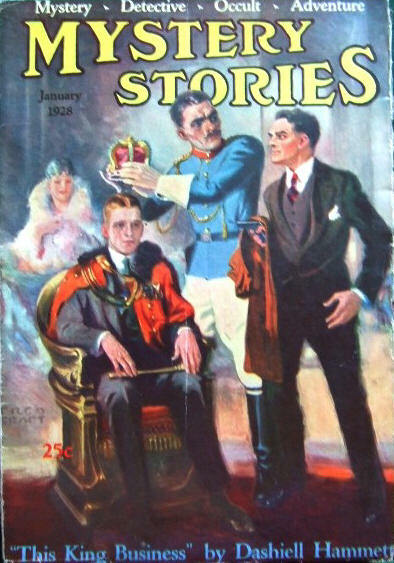 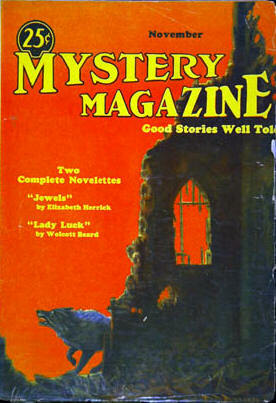 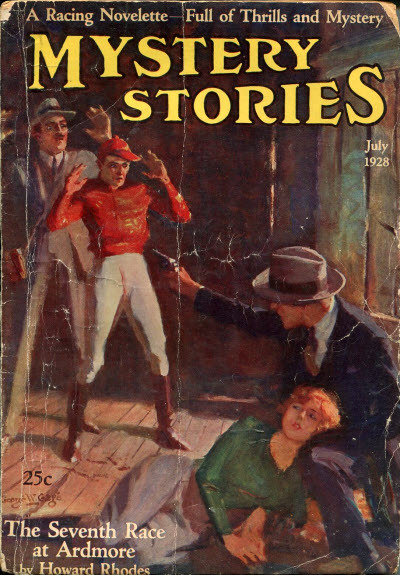 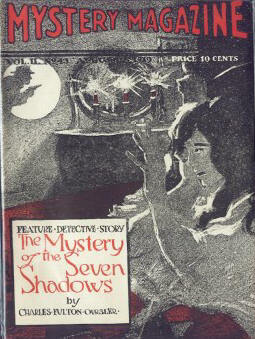 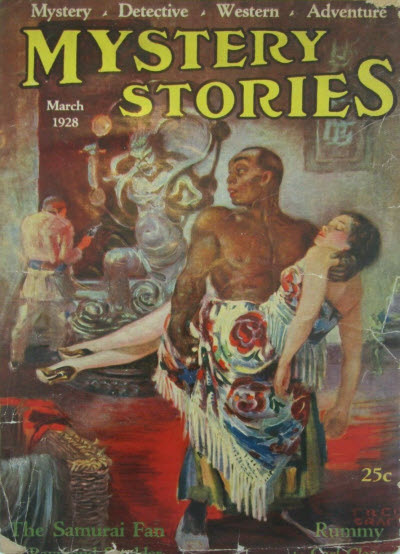 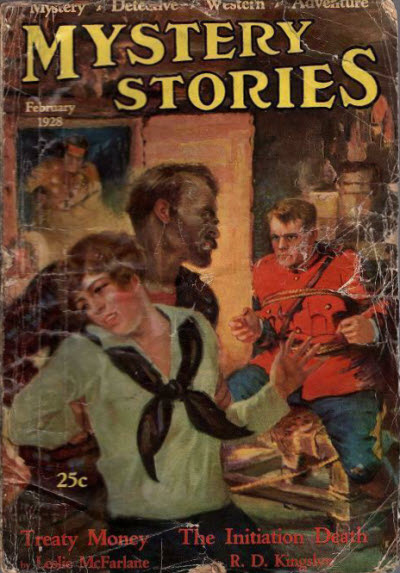 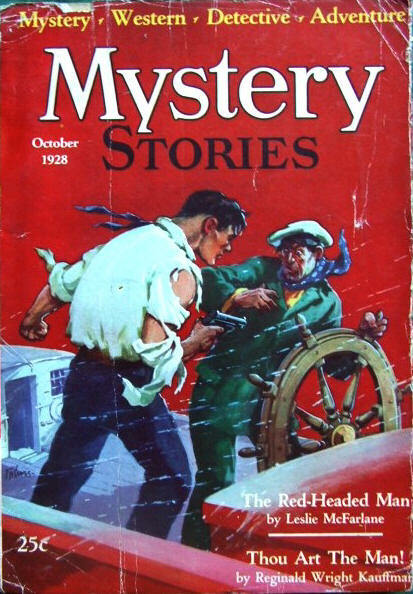 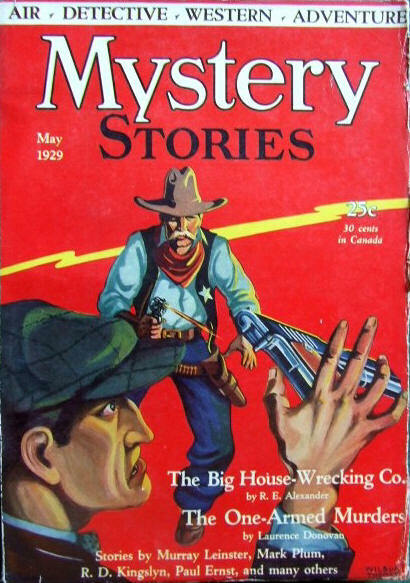 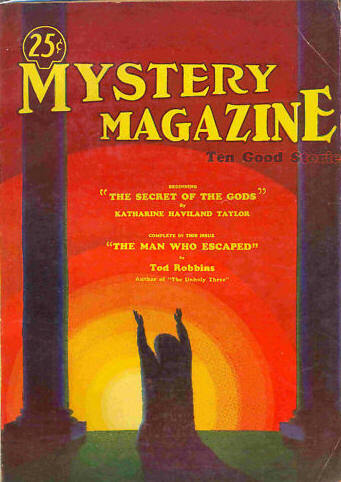 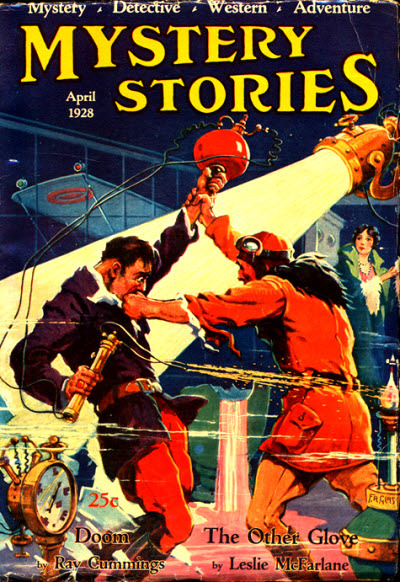 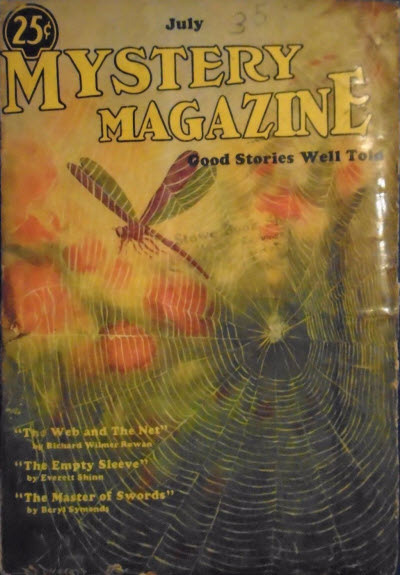 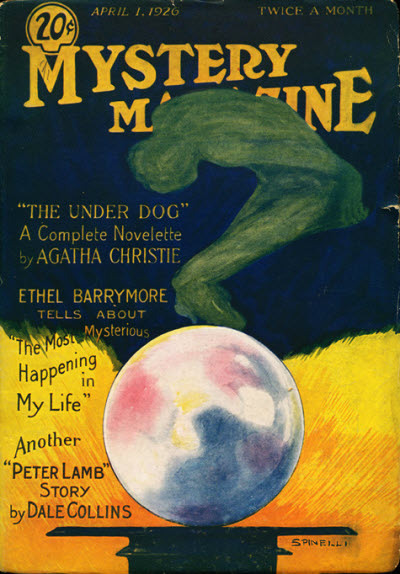 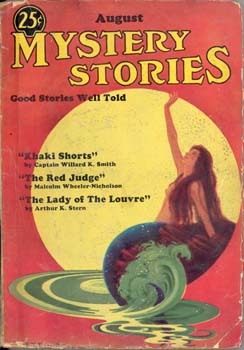 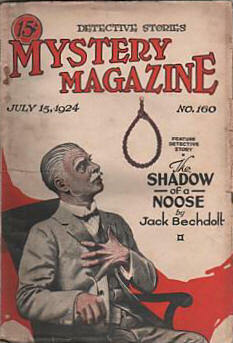 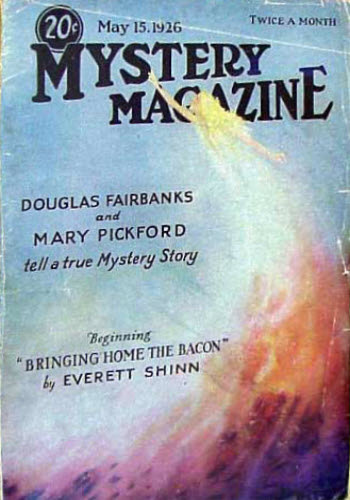 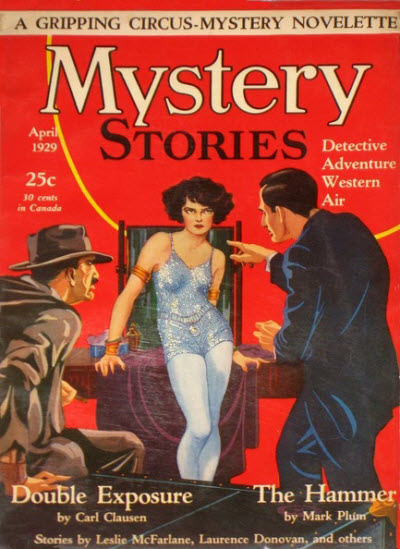 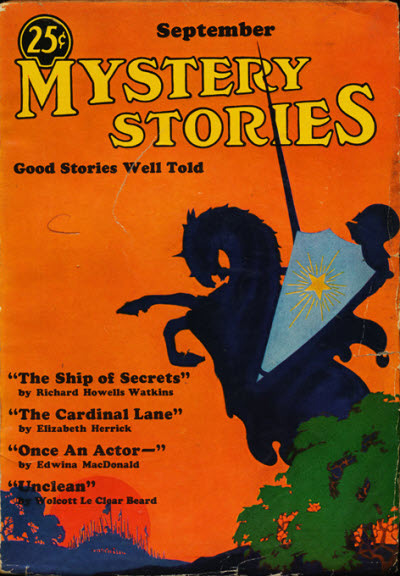 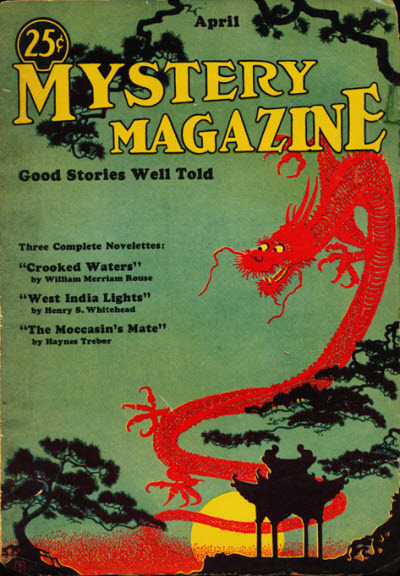 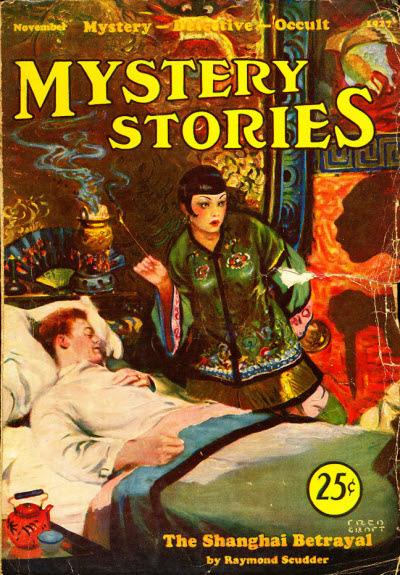 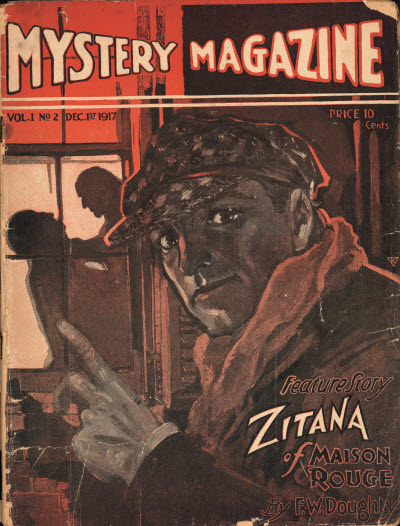 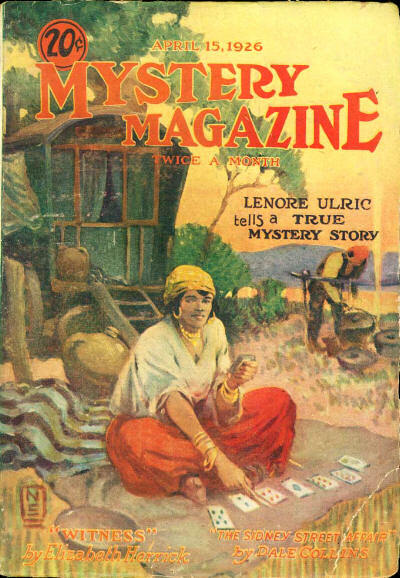 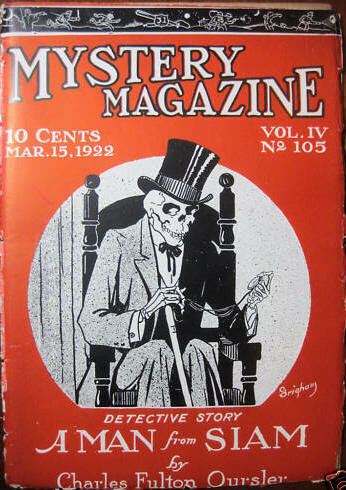 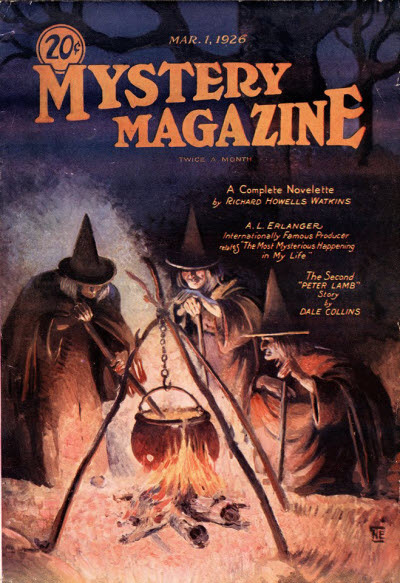 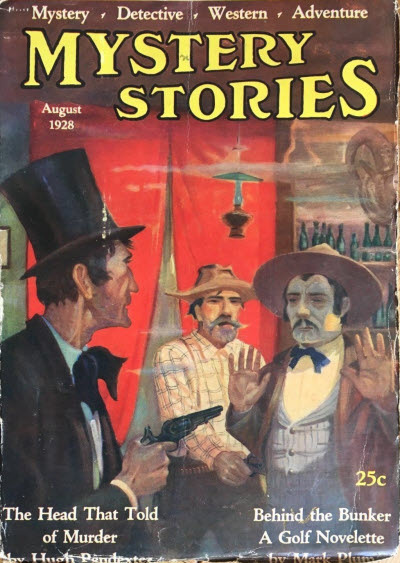 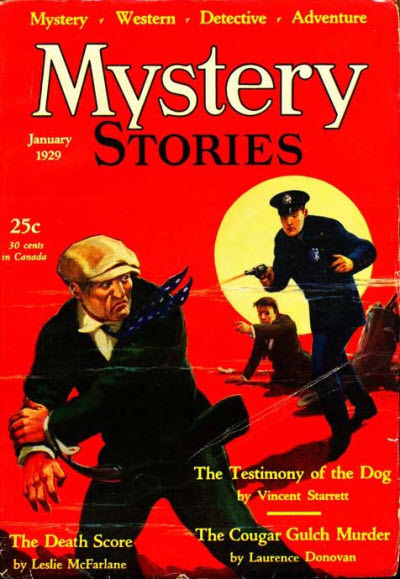 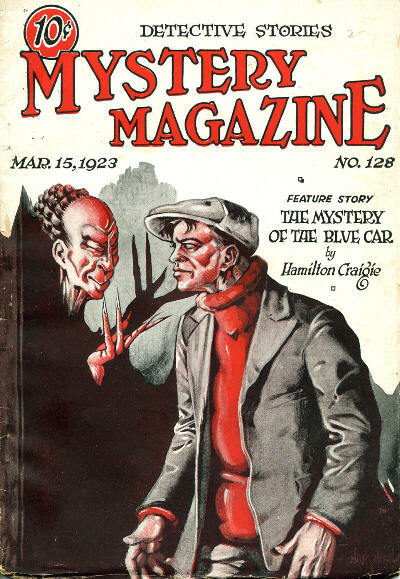 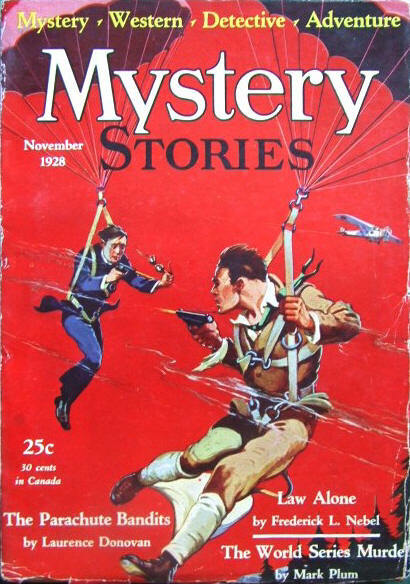 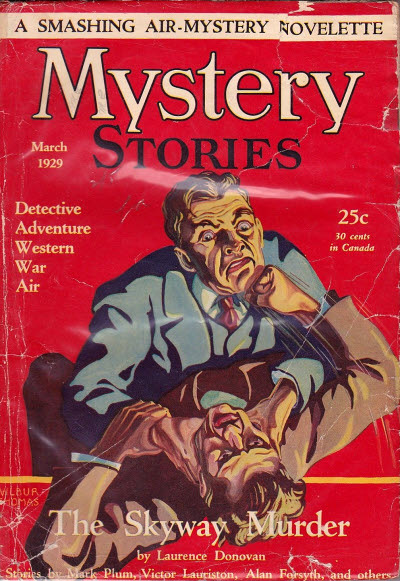 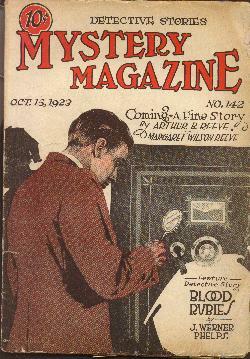 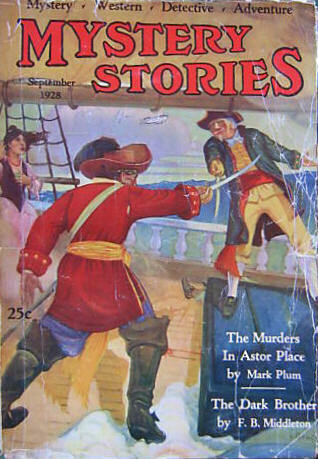 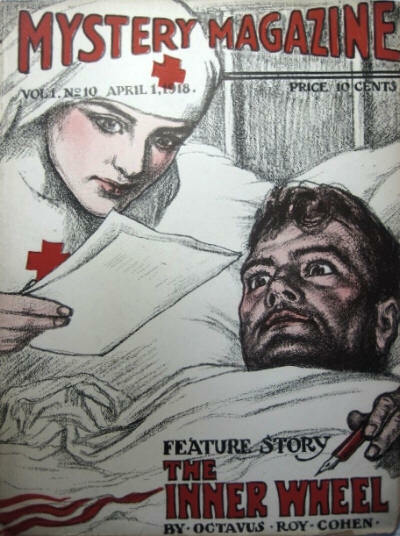 Although there were two British magazines called Mystery Stories, one was a British reprint edition of 15 Mystery Stories, and the other was a standalone series with no connection to the US magazine.